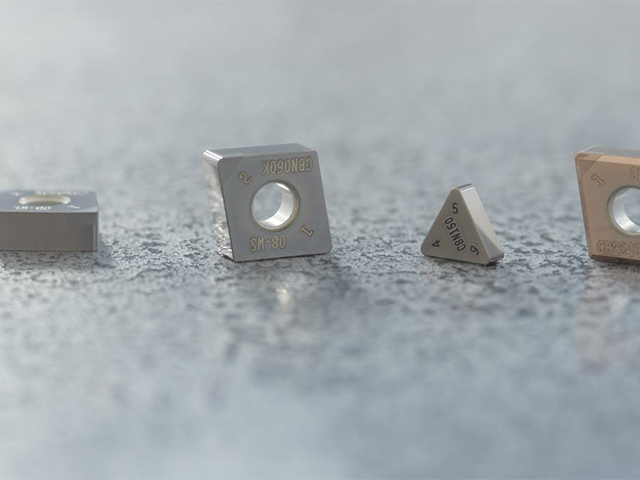 Seco further expands extensive line of PCBN inserts. Seco Tools has added a new grade format and several new geometries to its already expansive line of PCBN inserts. these additions hard turning operations broaden the extremely tough seco CH3515 insert grades and introduce a new solid CBN150 grade, special long and short wiper geometries and laser etched chip-breakers. The Seco CH3515 insert grade offers high reliability in harsh cutting conditions with heavy interrupted cuts. The complete standard line now includes a broader range of sizes and geometries to optimise all hard turning operations. The CBN150 sold insert grade yields high surface finish quality during light interrupted and continuous cuts in hard turning operations. An increased number of cutting edges per insert reduces cost per edge.